Fill your lungs with crisp mountain air and your heart withe memories at this Swiss-style mountain retreat picturesquely set on peaceful Phukaew Hill in the scenic province of Petchabun in Thailand’s lower north. 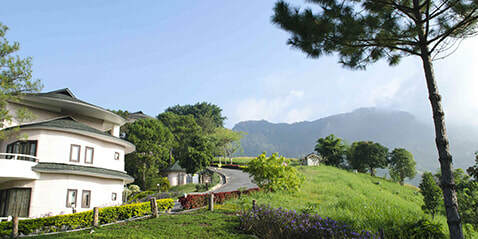 Nestling the mist-shrouded Khao Khor Mountain Range, dubbed “The Thai Alps” and Phukaew Adventure Park, Phetchabun's unique Khao Kho resort enjoys panoramic views of unspoiled undulating rural landscape clear across hundreds of kilometres to the far horizon. The tallest peak in Phetchabun, Khao Kho, shoots 1143 m into the sky. 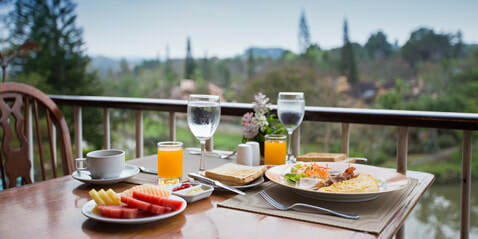 While relatively few tourists visit Phetchabun, it is a fabulous place for nature lovers. The soaring mountains and rolling hills combined with lush valleys, cascading waterfalls, gushing rivers, and wildlife-rich national park certainly ensure that there's never a dull moment. 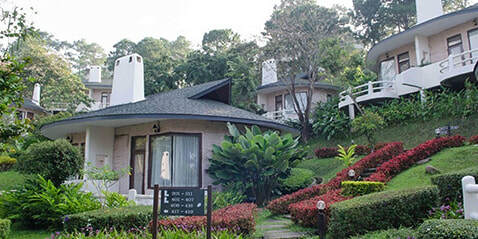 Your Khao Kho adv enture awaits in a Petchabun hotel with a character unlike any other.